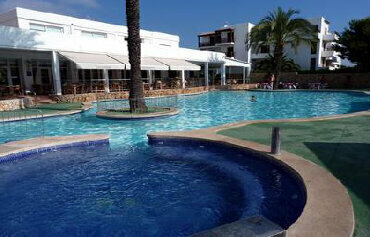 Nestling in a quiet area of Cala Dor, the 3 star Cala d'Or Playa Apartments were built with family holidays in mind. Not only are they midway between two stunning beaches, but they are jampacked with familyfriendly amenities and fun for all ages. The star attraction is the pool area. The freeform swimming pool is lined with lots of sunbathing space, an outdoor Jacuzzi and a mini waterpark. When they are not splashing around in the water, the children are well looked after at the Cala Dor Playa. A playground, mini club, mini disco and weekly kids party are just some of the treats in store. The holiday apartments cluster around the pool and come with their own kitchen and balcony. The onsite eateries serve up a host of tasty culinary favourites. The restaurant is a buffet style affair or tuck into al fresco a la carte dishes on the pool terrace, barbecues and paella. Evening fun includes live music and shows until late. Discover why the Cala d'Or Playa Apartments are a favourite place to stay in Cala Dor. 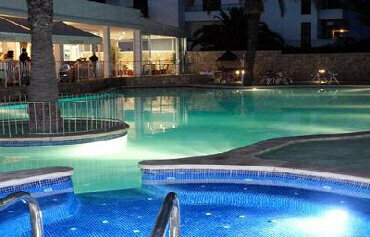 The Cala d'Or Playa Apartments has all the facilities you would expect from 3 star apartments in Majorca. Highlights include: A large outdoor swimming pool area with outdoor Jacuzzi, sunbeds and parasols, gardens, restaurant, pool bar, animation team and daytime activity programme. The 24 hour reception offers car rental, currency exchange, wake up service and tours. Additional facilities include limited parking, locker rooms and showers for late departures, porter, laundry room, internet machines in reception, WiFi internet access throughout resort, medical, dry cleaning, massage and florist services. 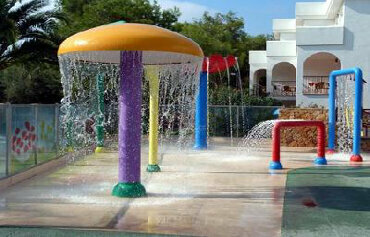 For the children there is a playground, mini club, mini disco, weekly kids party, games room with billiards, table tennis, mini water park/splash park and kids pool. The complex has a total of 116 apartments, 32 of which were fully renovated in 2013. All apartments have a twin bedroom, bathroom, living room with two sofa beds, kitchen with fridge, cooker, microwave, coffee maker, electric kettle, toaster and cookware, TV with international channels, telephone, hairdryer and terrace/balcony. 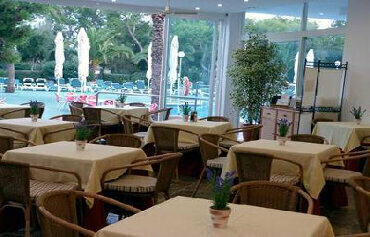 The restaurant serves a varied selection of buffet style dishes for breakfast and dinner. There are also themed dinners each week. Snacks, ice cream and an a la carte menu are on offer in the pool bar. A weekly Spanish Party, featuring freshly cooked paella, and also a poolside barbecue complete the culinary picture. Evening entertainment brings professional shows, fun and games to the resort. The Cala d'Or Playa Apartments are located near the centre of Cala Dor, just 350m from Cala Esmeralda and 400m from Cala Gran beaches. 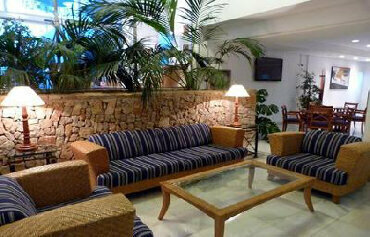 Son Sant Joan Airport is 60kms away and the centre of Palma 65kms from the complex. I stayed in this hotel in September 2013 with my boyfriend. There are good points to this hotel and maybe some that some of you may class as bad points, but it didn't bother me too much. *Lovely walk from hotel to Cala D'Or centre via the marina, which is beautiful but rather pricey, although worth every penny! All in all, if you are looking for a basic accommodation away from the centre of Cala D'Or, but within easy reach of things to do, then this hotel is perfect for you!